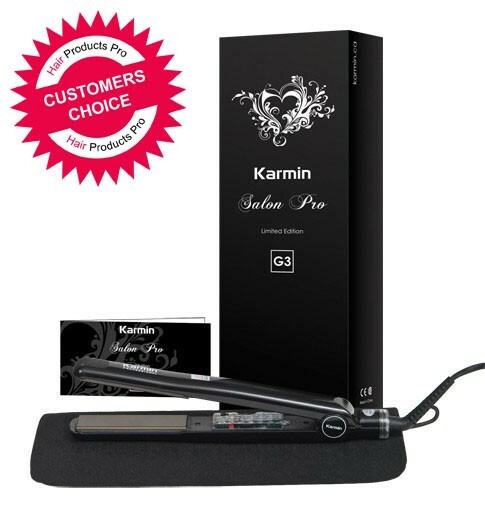 Back in November of last year, I was given the opportunity to review a Karmin G3 Salon Pro. I was flat ironing my hair quite a bit at the time - several times a week to almost every day, and I was just using one that I had purchased at either Sally's Beauty Supply or Wal-Mart... definitely didn't know much about them. Now, I don't know how to do anything special with flat irons - I can just straighten my hair. The Karmin has 1" pure tourmaline ceramic plates and reaches a max temp of 450 degrees (minimum of 180). I didn't love that the on/off switch and the temperature dial are located on the inside of the plates, because I figured I'd burn myself, but knock on wood - I haven't so far. As for the actual straightener, it did do a great job at leaving my hair smooth and shiny after just the first use, and has continued to perform without any fail. It's listed as one of the best straighteners on Hair Products Pro's website and I do see why. Compared to my much cheaper version, it did work after the first pass through my hair - I don't have to go over it several times. I have not noticed any real damage from the flat iron (I do use a hair serum before hand) which was also key because I don't want to fry my hair. 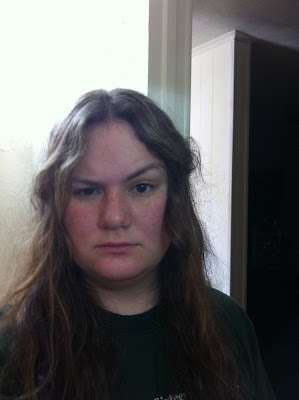 For fun, here are two pictures of my hair before and after. 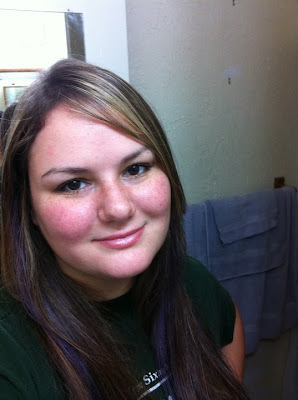 Okay, so I added a little makeup to my face too (but not in Photoshop!). Now for the big question... would I buy it? I do love how this works and while I don't know that I could fork over full price, for $130, I would definitely consider purchasing it again. I really do love how well it works, how fast the iron heats up and how my hair has not had damage. I do wish the on/off switch & dial were on the outside (as I mentioned above) but it's not a deal breaker. The Karmin sells for $300.00 but you can purchase it from the link in the first paragraph for $129.95. I like your before pic it's funny how u look upset than happy with shiny straight hair, looks like it works really well.